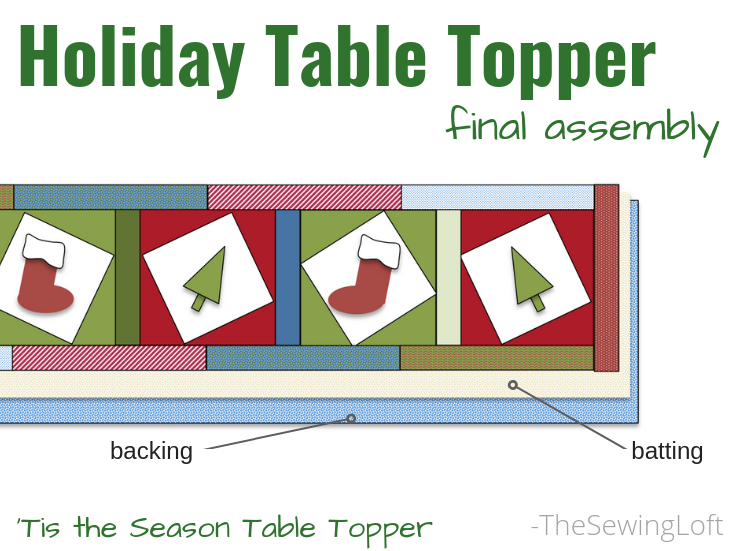 Last week I shared the news about my latest class with Annie’s Creative Studio and this week I am sharing a very special bonus project, a holiday table topper. For me, the holiday’s are all about gathering with friends & family, slowing down and just enjoy the simple pleasures life has to offer. Since our family is sprinkled throughout the US we never know exactly who will be joining us but one thing is for sure, our doors are always open! That’s why we need a long table runner, one that will truly span the table and not just be a small placemat in the center. 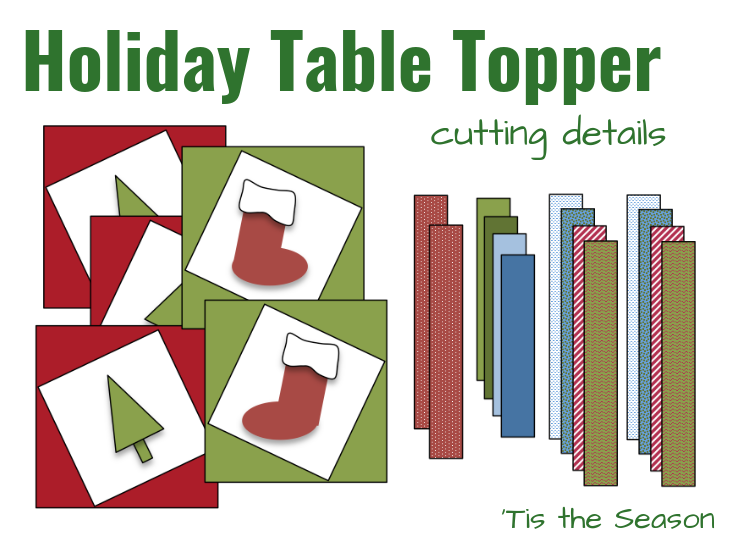 Most table toppers are either too small or too long for my liking. So, I decided to make my own. 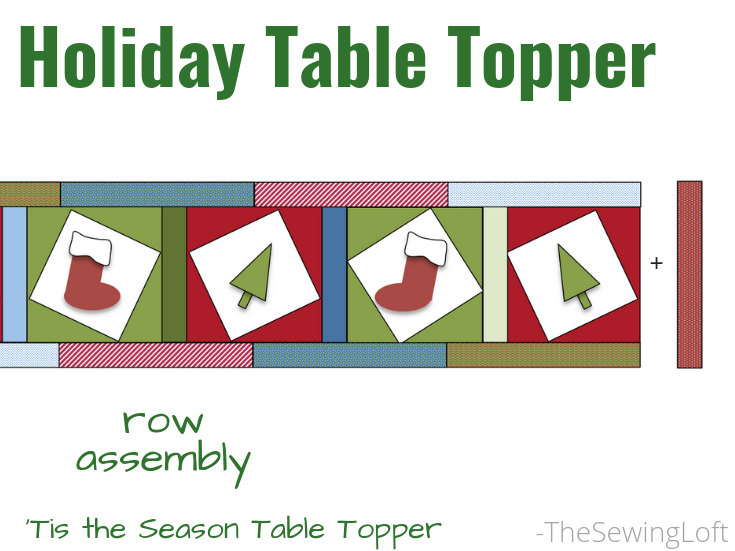 The size of my table was perfect for 5 blocks however you can customize your table topper to fit any number of blocks. *Fabrics highlighted and used are from the Mulberry Lane collection from Benartex. *All seams are joined with 1/4″ seam allowance. With right sides together, join pre made block with 2 1/2″ x 9 1/2″ rectangle. Press seam towards rectangle. Alternating block designs, continue to stitch pieces together until all five blocks are joined. Set aside. Stitch four border rectangles, right sides together, press seams in one direction. Complete 2 rows. Placing right sides together, attach rows along top and bottom of block unit. Press seams outward. 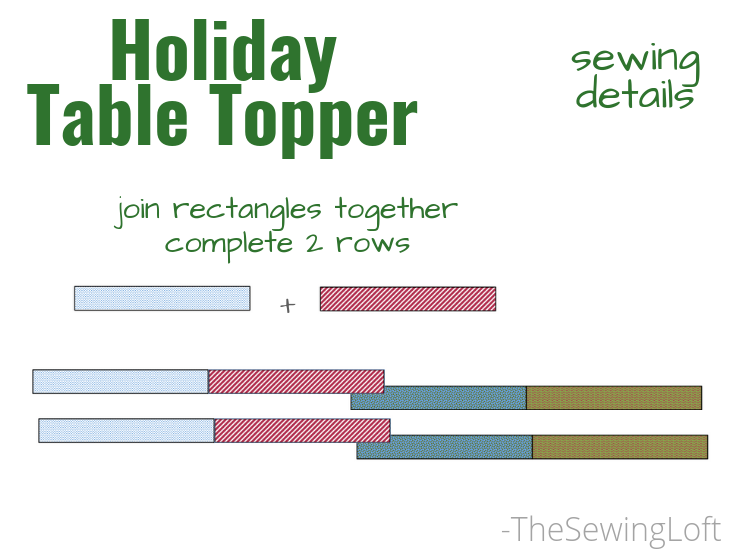 Attach final rectangle pieces along each end, press seam allowance outward. Layer backing, batting and quilt top; baste. Quilt as desired. 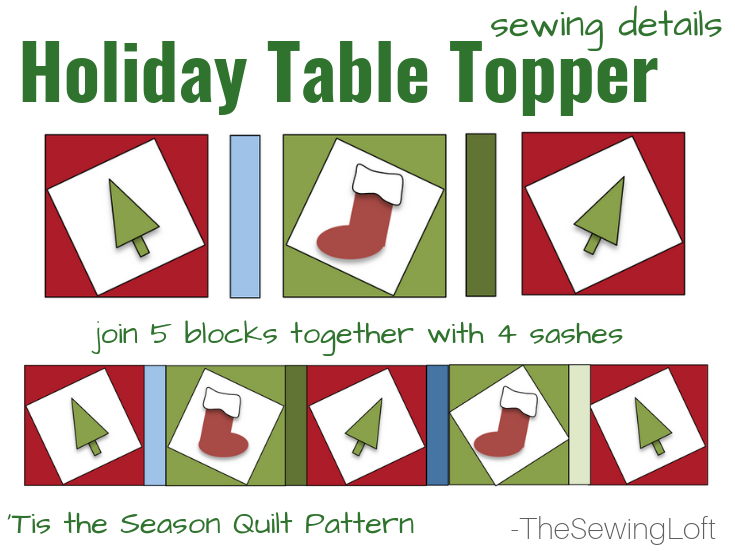 Table topper shown was quilted on a standard machine with random diagonal lines. Trim and true up the sides to final dimension. Attach binding to complete your project. 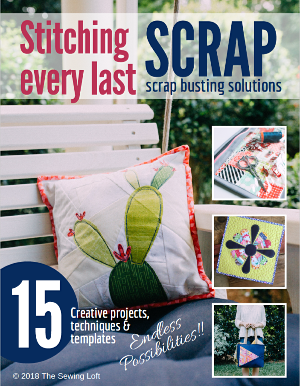 **Tip: Click here for extra help with your binding. Plus, let’s not forget about the giveaway!! 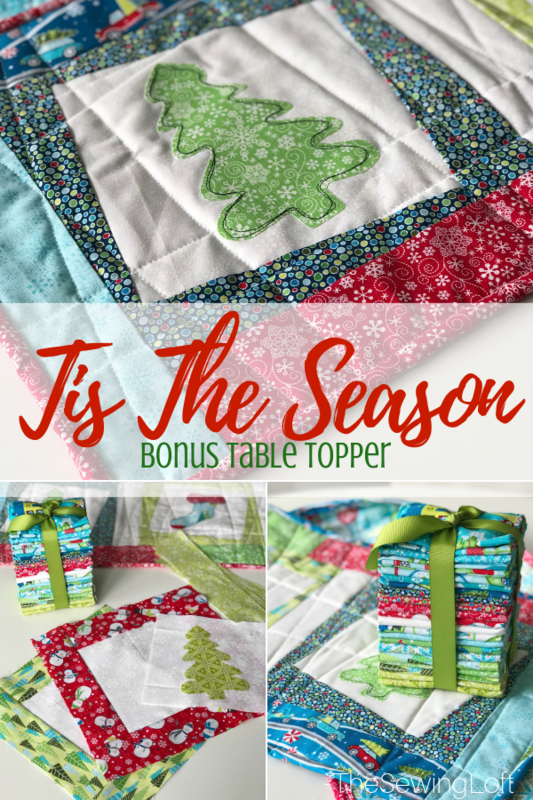 Let’s kickstart your handmade holiday into high gear with this amazing fat quarter bundle stack from my friends at Benartex. 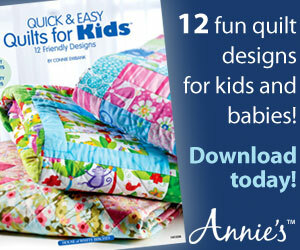 One lucky reader is going to receive this amazing bundle of Mulberry Lane fabrics. 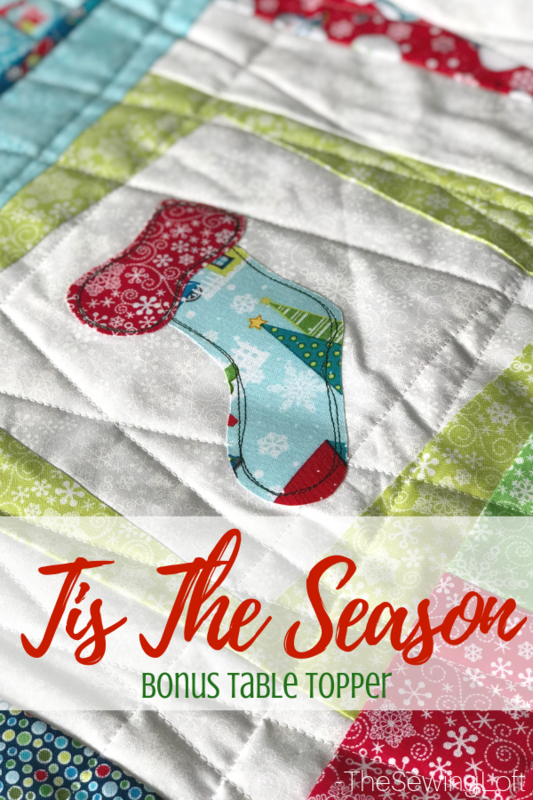 The whimsical assortment of prints is fantastic and perfect for any type of holiday sewing including this bonus table runner.